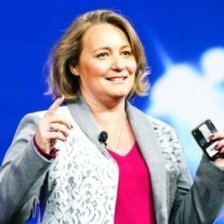 Leanne Kemp is the Founder & CEO of Everledger. With extensive experience in emerging technology, business, jewellery, and insurance, Leanne is pushing boundaries with Everledger, addressing real-world challenges through driving transparency and trust along global supply chains using emerging technology. Her entrepreneurial success has led to her appointment as the Queensland Chief Entrepreneur for Australia in 2018, a role to further develop the startup ecosystem, attract investment and support job creation throughout the state of Queensland. She is the first female entrepreneur to hold this position. Leanne is an appointed member of the World Economic Forum’s Global Blockchain Business Council and a Co-Chair for the World Trade Board’s Sustainable Trade Action Group. She is also on the IBM Blockchain Platform Board of Advisors. In recognition of her leadership role in technology, Leanne has won multiple awards including Innovator of the Year 2018 at the Women in IT Awards (London) and the Advance Global Australian Awards 2018 for Technology Innovation.